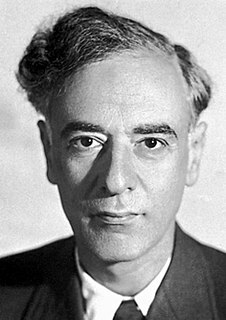 Lev Davidovich Landau was a Soviet physicist who made fundamental contributions to many areas of theoretical physics. Fritz Wolfgang London was a German physicist and professor at Duke University. His fundamental contributions to the theories of chemical bonding and of intermolecular forces are today considered classic and are discussed in standard textbooks of physical chemistry. With his brother Heinz London, he made a significant contribution to understanding electromagnetic properties of superconductors with the London equations and was nominated for the Nobel Prize in Chemistry on five separate occasions. 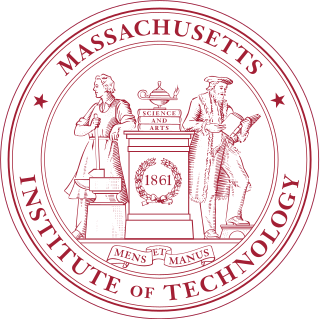 In 1941, Tisza immigrated to the United States and joined the faculty at the Massachusetts Institute of Technology. His research areas included theoretical physics and the history and philosophy of science, specifically on the foundation of thermodynamics and quantum mechanics. He taught at MIT until 1973. Tisza was the author of the 1966 book, Generalized Thermodynamics. The 1982 publication, Physics as Natural Philosophy: Essays in Honor of László Tisza, was written by Tisza's colleagues and former students in honor of his 75th birthday. He was a Fellow of The American Physical Society and American Academy of Arts and Sciences, a John Simon Guggenheim Fellow and had been a visiting professor at the University of Paris in Sorbonne. Josiah Willard Gibbs was an American scientist who made important theoretical contributions to physics, chemistry, and mathematics. His work on the applications of thermodynamics was instrumental in transforming physical chemistry into a rigorous inductive science. Together with James Clerk Maxwell and Ludwig Boltzmann, he created statistical mechanics, explaining the laws of thermodynamics as consequences of the statistical properties of ensembles of the possible states of a physical system composed of many particles. Gibbs also worked on the application of Maxwell's equations to problems in physical optics. As a mathematician, he invented modern vector calculus. Allen Newell was a researcher in computer science and cognitive psychology at the RAND Corporation and at Carnegie Mellon University’s School of Computer Science, Tepper School of Business, and Department of Psychology. He contributed to the Information Processing Language (1956) and two of the earliest AI programs, the Logic Theory Machine (1956) and the General Problem Solver (1957). He was awarded the ACM's A.M. Turing Award along with Herbert A. Simon in 1975 for their basic contributions to artificial intelligence and the psychology of human cognition. Peter Achinstein is an American philosopher of science at Johns Hopkins University. Herbert Bernard Callen was an American physicist best known as the author of the textbook Thermodynamics and an Introduction to Thermostatistics, the most frequently cited thermodynamic reference in physics research literature. During World War II he was also called upon to undertake theoretical studies of the principles underpinning the effort to create the atom bomb. George Whipple Clark is an American astronomer and professor emeritus at the Massachusetts Institute of Technology. When he retired, M.I.T. described him as "a central figure in the development of high-energy astrophysics, particularly in the design, analysis, and interpretation of experiments for the study of high-energy cosmic ray particles and the celestial sources of gamma rays and X-rays." Mehran Kardar is an Iranian born physicist and professor of physics at the Massachusetts Institute of Technology, and co-faculty at the New England Complex Systems Institute. He received his B.A. in physics from the University of Cambridge, and obtained his Ph.D. from MIT. Kardar is particularly known for the Kardar–Parisi–Zhang (KPZ) equation in theoretical physics, which has been named after him and collaborators. He was awarded a Guggenheim Fellowship in 2001. John Roy Whinnery was an American electrical engineer and educator who worked in the fields of microwave theory and laser experimentation. Edward Armand Guggenheim FRS was an English physical chemist, noted for his contributions to thermodynamics. Martin Jesse Klein, usually cited as M. J. Klein, was a science historian of 19th and 20th century physics. 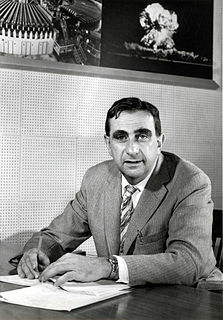 Hans Wolfgang Liepmann was an American engineer and emeritus Theodore von Kármán Professor of Aeronautics at the California Institute of Technology. Joseph Henry Keenan was an American thermodynamicist and mechanical engineer noted for his work in the calculation of steam tables, research in jet-rocket propulsion, and his work in furthering the development in the understanding of the laws of thermodynamics in the mid 20th century. 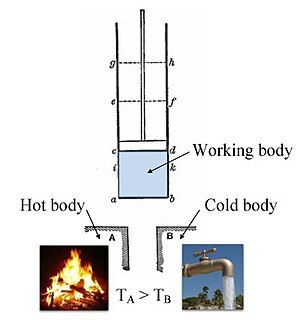 His classic 1941 textbook Thermodynamics served as a fundamental teaching tool in various engineering curricula during the 1940s and 1950s. The Kharkiv Theoretical Physics School was founded by Lev Landau in Kharkov, Soviet Union. It is sometimes referred to as the Landau school — more precisely, one might say that Landau's group at Kharkiv was the beginning of the Landau school that, after Landau moved to the Kapitza’ Institute for Physical Problems in Moscow, included new generations of theoretical physicists from the countries of the former Soviet Union. Lev Landau was the head of the Kharkhiv Theoretical Physics School from 1932 to 1937, when he left for Moscow. His students at Kharkiv included Alexander Akhiezer, Evgeny Lifshitz, Ilya Lifshitz, and Isaak Pomeranchuk. Upon the recommendation of Edward Teller, László Tisza joined, in January 1935, Landau's group at Kharkiv and then returned to Budapest in 1937 after Landau's departure to Moscow. Steven Scott Gubser is a professor of physics at Princeton University. His research focuses on theoretical particle physics, especially string theory, and the AdS/CFT correspondence. He is a widely cited scholar in these and other related areas. Sally Haslanger is an American philosopher and professor. 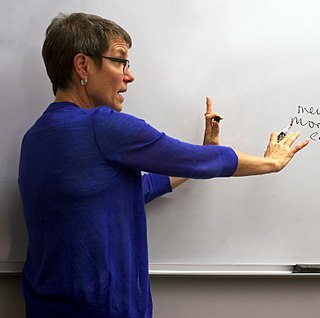 She is the Ford Professor of Philosophy in the Department of Linguistics and Philosophy at the Massachusetts Institute of Technology. She held the 2015 Spinoza Chair of Philosophy at the University of Amsterdam. George Edward Backus is an American geophysicist, best known for his work with J. Freeman Gilbert on inverse methods for geophysical data. He is also notably credited with advancing the dynamo theory on the origin of the Earth's magnetic field. Sow-Hsin Chen, is a Hoklo Taiwanese physicist and Professor Emeritus at Massachusetts Institute of Technology (MIT). He is a recognized pioneer in the research of the dynamic properties of supercooled and interfacial water with the use of neutron scattering techniques. As an educator, he has been recognized for his training of young scientists in the use of those same techniques. Regarding hydrogen storage, his research focuses on the use of activated carbon to allow hydrogen to be stored at room temperature. John C. Wheatley was an American experimental physicist who worked on quantum fluids at low and very low temperatures. Lee Grodzins is an American professor emeritus of physics at the Massachusetts Institute of Technology (MIT). After groundbreaking work as a researcher at Brookhaven National Laboratory, Grodzins joined the faculty of MIT, where he taught physics for nearly four decades. He was also head of R&D for Niton Corporation, which developed devices to detect dangerous contaminants and contraband. He has written more than 150 technical papers and holds more than 50 US patents. Stephen George Brush is a scholar in the field of history of science whose career spanned the late twentieth and early twenty-first century. His research resulted in hundreds of journal articles and over a dozen books. ↑ Friedman, Jerome; Greytak, Thomas J.; Kleppner, Daniel (July 2009). "Obituary: Laszlo Tisza". Physics Today. 62 (7): 65. Bibcode:2009PhT....62g..65F. doi:10.1063/1.3177236.